There was a very strong likelihood that the Finnish pianist Alexi Tuomarila could have become a professional tennis player had he not discovered Miles Davis and gone on to study in Brussels where he won many prizes. Those tennis essentials – gracefulness, nimble footwork, sensitivity to the moment and delicacy of touch – are abundantly apparent here in Alexi’s sparkling touch. I imagine a Roger Federer performance, no pressure visible, feet (or fingers) skimming the ground, elegant changes of direction like a swallow in flight. When Alexi’s career hit a dark patch, titles such as Bone Yard Jive and My Dark Hours hint at the desolation within but now, on Edition Records, he returns to dazzling sunlight with this beautiful album. His playing is breathtaking, it is cool and Scandinavian yet warm and intimate, a density of notes yet never heavy. I keep wanting to use the adjective sparkling but that’s what this album is, every track dazzles you with wonder. He is joined by Mats Eilertsen on bass (Tord Gustavsen Trio and Mats’ own bands, most recently on the exquisite Sails Set) and Olavi Louhivuori on drums (leader of Oddarrang amongst other excellent projects), and on a couple of tracks by Portuguese guitar player André Fernandes. Alexi’s trio have played together before, on his Constellation (2006), well-titled, a pitch for the heavens that he has now reached in Seven Hills. There are very strong melodies, some hymn-like (Miss), others have a Monk-tinge (Visitor Q), all demonstrate perfect understanding between this trio. The guitar seems to be used (on Prologue and Ceremony) to set up tension,the drums contorted like thunder, but always the piano brings us back to serenity. On Jibeinia, we have the delicate tracery of an extinct fossil bird, a feathered dinosaur set out in Mats’ bass, the piano wistfully trilling a possible call for this long-gone creature. All the tracks are standout. but I must draw attention to Cyan by Olavi where the trio is at its most etheral. It could be a lullaby for a sleepy child or the remembrance of a perfect summer day, the drums are like rustling silk. I saw Alexi with this trio earlier in the year at Warwick Arts Centre. We can only hope Alexi tours the UK soon, more people need to experience his sublimely contemplative intensity for themselves. Game, Set and Match to Mr Tuomarila. 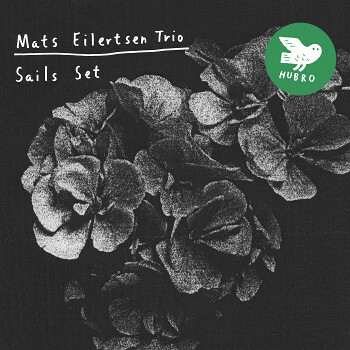 The Mats Eilertsen Trio’s latest album Sails Set is an exquisite album as contemplative as a quiet Flemish interior or a walk in fresh snow. The trio consists of Mats on double bass, Thomas Strønen on drums and Harmen Fraanje on piano and voice. None of the compositions is attributed to any one musician, the album is a deliberate attempt at equality, but in an unforced way. Most of the eleven tracks are quite short, like delicate Japanese poems. They create individual moods, you can listen to them separately or from start to finish, each complements the others. The album opens with the title track Sails Set, a gentle piano like a breath of wind in a sail, water ripples beneath the boat, there is a sense of possibility, space, exploration and tranquility which pervades the whole album. You are in very safe hands here, like a well-established crew on a ship, each member trusts the others, no-one feels the need to lead or dominate, there are no raised voices. There is perfect empathy, the result is playing as delicate as a spider’s web. On this journey you look at the stars, orbit our earth, make friends with a stray dog, pass a lighthouse, are bathed in moonlight, safely navigate currents, make landfall and feel sand on your toes, listen to some music and finally realise you are alone but you are not lonely, just as it is hard to feel lonely looking at a starry sky. Sails Set is Mats Eilertsen’s fourth release on the Norwegian label, Hubro. Hubro’s website says the label is dedicated to the album as a physical object. I like that. I appreciate an album as an art work. Have we not all, on occasion, bought an ECM album for the cover alone? This album comes in a simple cardboard sleeve, the liner notes are sparce and cool as glacial ice. Hubro’s website is clean, effective, it does the job without fuss. This extreme simplicity in presentation enables the music to speak, and it does, perfectly. This is music to meditate to. It clears your mind of everyday clutter, leaving you at peace. Highly recommended. It’s not every day that you get taken by surprise by a piano trio but that’s what happened to me last night at Warwick Arts Centre. The Alexi Tuomarila Trio are due to release their new album on Edition Records in April so it was a great thrill and a coup for Jazz Coventry to host them so early in the year. 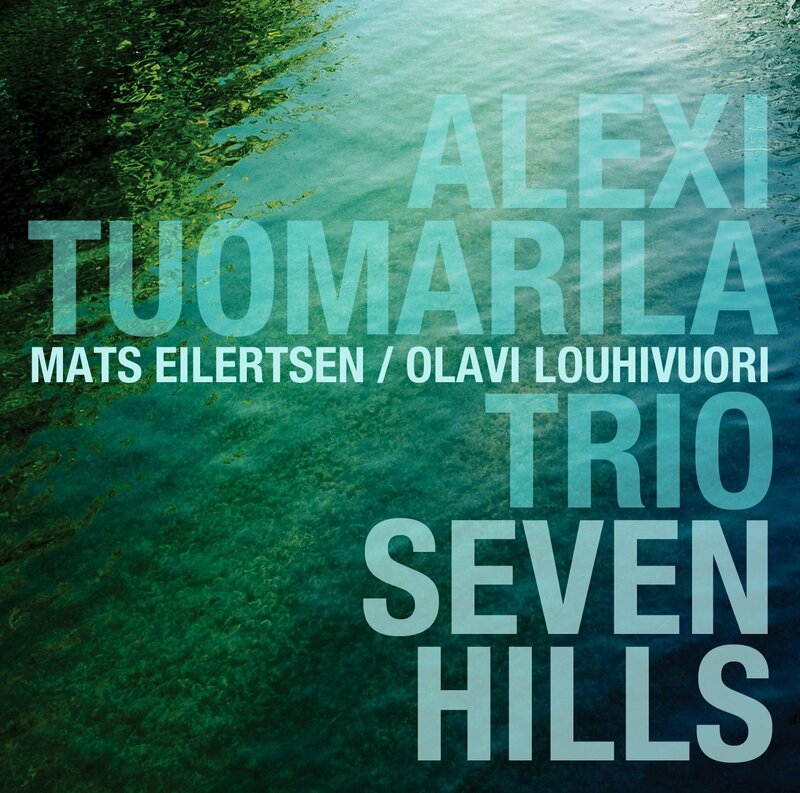 Alexi’s trio consists of Mats Eilertsen on bass and Olavi Louhivuori on drums and himself on piano. As a trio comprised of a Norwegian and two Finns, they speak to each other in English but there the compromise ends. Each of them is a star in their own firmament. From a very early age, Alexi won prizes and over the years has played with Tomasz Stanko ( I believe I saw him at WAC with Tomasz Stanko in 2009). Mats leads his own projects (notably with Thomas Strønen and Harmen Fraanje, in addition to playing with Tord Gustavsen). Olavi leads Oddarrang (you will know about my enthusiasm for this project) and he also plays with Tomasz Stanko. There isn’t space to list all their achievements here but the sum total of all their experience means when you see all three on stage together you have an almost limitless depth. So what was so great last night? Well, what most struck me was that I was listening to very dense sound, on the piano and the bass, but it didn’t feel heavy or overwhelming. It may have been Alexi’s exquisite sparkling touch on the piano, he could play a lot of notes at once and yet they felt airy. On the drums, a friend commented that he was impressed at how much sound Olavi could produce from so few drums. And Mats seemed to be always there, supporting, leading or progressing complex tunes that hung in the air at their ending. And together they created a beautiful sound. It was captivating. So a composition like Pearl by Alexi or Cyan (?) by Olavi was able to be simultaneously dense and shimmering yet full of space. Magical. There were sounds like creaking timber, I felt I was on a ship going down, there was a feeling of dread and fear and then it was lifted so gently. One composition started with a lovely piano melody like the remembrance of summers past, wistful and gentle. I think this may have morphed into Bob Dylan’s The times they are a-changin but like Brad Mehldau, Alexi keeps standards very well hidden. Their new album will be out in April on Edition Records. It is called Seven Hills and features the Portuguese guitarist André Fernandes. If anything, the album is more accessible than the performance last night but I like being challenged and I got the feeling that the band relished being in the same room for a few hours, an occurrence that is unlikely to be repeated often from now on as they pursue their other projects. Their modesty as a band was overwhelming and it was a great privilege to hear them live. Five stars.